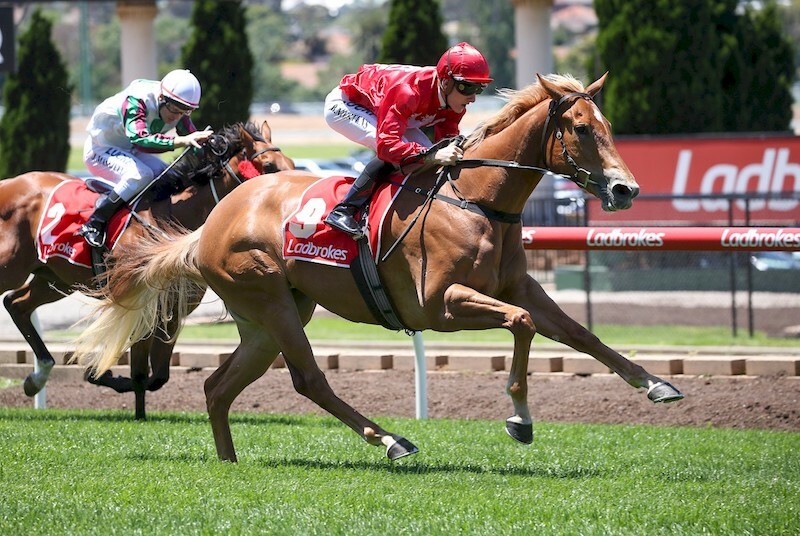 Rosemont Stud and Jason Warren have the luxury of both a relaxed and precise build up toward a Group 1 target with their exciting 2-year-old daughter of Starspangledbanner Brooklyn Hustle. Having ticked off his first goal with the youngster following her impressive debut victory at Moonee Valley in December, Brooklyn Hustle was able to overcome a tardy start for an outstanding win. Brooklyn Hustle has been installed as favourite for the $1.5 million Blue Diamond to be run at Caulfield on February 23. Warren said while Brooklyn Hustle hadn’t been away from the action for too long, it had done her the world of good. Brooklyn Hustle is out of Pivotal mare, Joint Aspiration (GB), whose four wins included the Listed Gaviola Stakes and a second at Group 3 level. Having produced two winners, she is out of a half-sister to the champion European sprinter and Group 1 Haydock Sprint Cup winner Red Clubs (IRE).